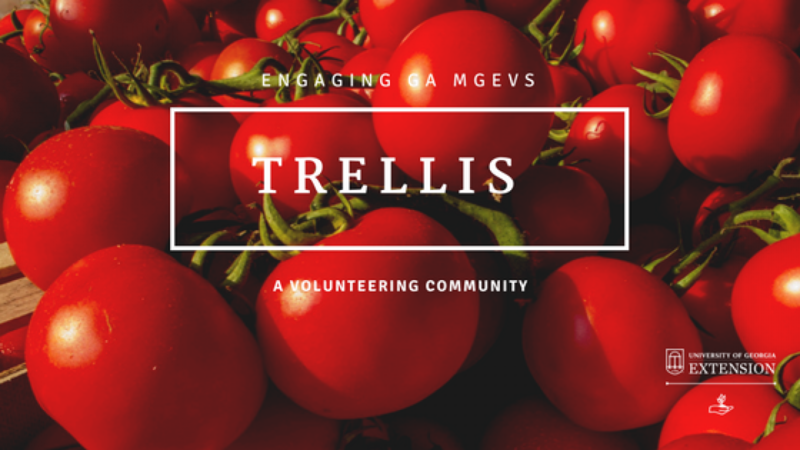 Trellis | April Celebrations: We’re Creating a Commemorative Quilt! Ever noticed that our gardens are reflective of the people, trips, events, and celebrations that are important to us? The plants in our gardens are much like pieces of a quilt, lovingly selected and stitched together with care, and treasured for a long, long time. As a symbol of this collective beauty and resourcefulness, we’re going to stitch together a quilt to commemorate our 40th program anniversary. Our quilt will reflect the diversity of our volunteers, projects, and communities. Much like our projects are built, we’ll do it block by block, sash by sash. When complete, the quilt will be presented to the Dean of UGA’s College of Agriculture and Environmental Sciences for display on campus. 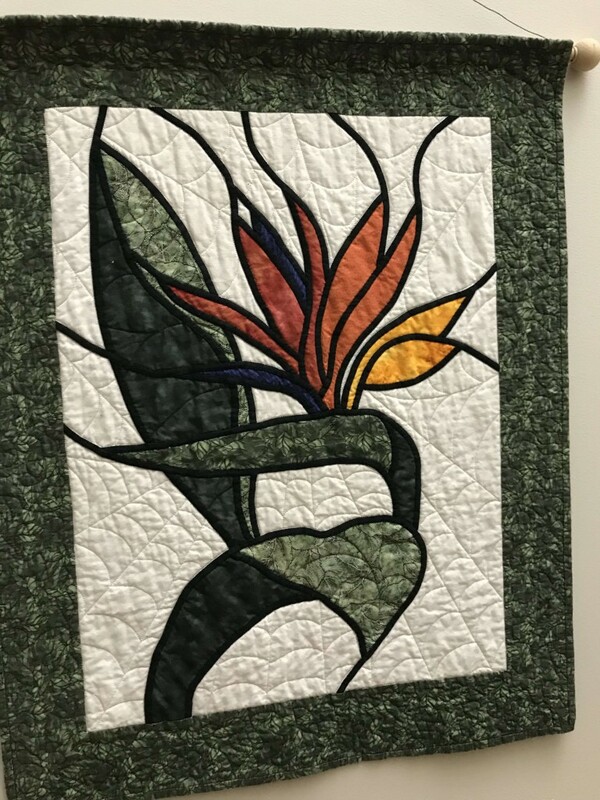 During our volunteer celebrations on April 10, we’re offering 2 workshops to create quilt blocks that will become part of the commemorative MGEV quilt. Dr. Bodie Pennisi and I, both quilters, will facilitate the sessions. The workshops are meant for quilters at every level — basic, intermediate, or advanced. If you want to contribute to this quilt, we’ll help you do this! The goal is for each person to make 2 blocks during the session, one block for us and one block for you, if you want. Equipment. We’ll have several sewing machines on site for stitching together blocks during our time together. We’ll also have an ironing station set up. If you prefer to bring your own sewing machine or tools, feel free! You might want to include an extension cord. Fabric. Since this is a Master Gardener quilt, our fabric theme is all things gardening, of course! We’ll be using 100% cotton fabric. We’ll have a few precut blocks for those new to quilting. We’ll also have some fabrics from which you can choose to cut your own pieces if you want to bring a pattern or do something unique. You may have some fabric in your stash that you want to share with us in your block. You are welcome to bring it along. Please prewash your fabrics before you come. Cutting. We’ll have a few rulers, mats, and templates. You may want to bring your own, including rotary cutters and your favorite fabric scissors. Patterns. Since this is a collaborative effort, there is no official or required pattern or design for the blocks. Our beginner blocks will be variations of 9-patch because they are simple to assemble. You are welcome to use whichever pattern you wish, as long as you create a 12″ finished block (which means the square should be 12.5″ x 12.5″ from raw edge to raw edge). You’ll need to bring your pattern instructions if you choose to do something other than a 9-patch. Nine-patch is an easy design to create and stitch together. There are so many possible combinations! Want to contribute a block, but can’t be a part of our workshop? Feel free to create a block or two and send to me (1109 Experiment Street, Griffin, GA 30223). Be sure to include a tag with your name and county and any block name that you might want to include. You are welcome to use whatever pattern or technique that you wish, as long as you follow the guidelines listed above. We’ll also be finishing the quilt through the summer. If you want to be a part of the assembling and finishing, drop me an email to let me know. If you are inspired to embroider a commemorative block, have the equipment, and are willing to do so, please let me know! Bring a friend to learn with or help you during our workshop on April 10! We’ll offer 2, hour-long sessions at Rock Eagle during which you can assemble a simple block for the quilt. To register for our Wednesday events, check the 2019 April Celebrations webpage. On the Plan Your Day Worksheet, you’ll see the workshop options for Wednesday. The cost for the day’s activities is $20, which includes your lunch and our ice cream party afterward! I am looking forward to seeing you reflected in our commemorative quilt! Previous: April Celebrations: State Botanical Garden Tour!